Cinnamon Bark Vitality Essential Oil Dietary Oil Spice Up! Cinnamon Bark Vitality Essential Oil supports healthy immune system and digestion*. The health benefits of cinnamon when taken internally speak for themselves. This oil is part of the new Vitality Dietary Essential Oil Collection which includes over 25 oils for dietary use, cooking and more! 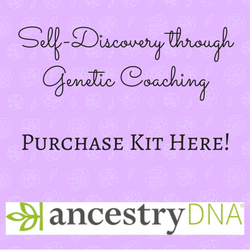 Check them out because you will want to use them all! Place Cinnamon Bark Vitality Essential Oil in teas, smoothies or drinks! Get creative with your cooking, baking and sauces! I love extra cinnamon in my chai tea and oatmeal! 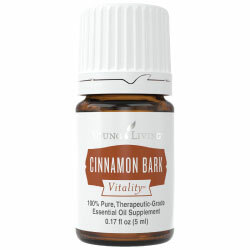 Want to check out other oil blends that contains the benefits of cinnamon bark vitality oil? Thieves Vitality oil also supports healthy immune system! And taste spicy delicious in drinks and food. Reap the benefits of cinnamon every day by using Cinnamon Bark Vitality Essential Oil! Just put a drop in your food or drink! Want to Purchase Therapeutic Cinnamon Bark Vitality Essential Oil? Go to the Oil Shop! Buy Cinnamon Bark Vitality Oil Here! Why is this Information Important? With so many species of cinnamon, as well as hybrids, and different parts of the plant being marketed, it is no wonder that people are so confused. To add more misinterpretation, many of the species do not have the health benefits of cinnamon that are reported. So, please be careful and know this information when purchasing and using essential oils. What is the Bark versus the Leaf Debate all About? There is debate over the essential oil from the bark versus the leaves and which one you should use, or which one is better. So, all I can do to answer this question is to present the facts. Then it is up to you to evaluate and choose for yourself! The health benefits of cinnamon have been widely studied as presented in the beginning of this page. Those studies document the difference between using the oil of the bark versus the leaves. And the good news is they both have supporting benefits. Some websites will tell you that there are no benefits of cinnamon leaf. What is the Chemistry of the Bark versus the Leaf? Please see the Cinnamon Bark Section for this information. What is the Origin of the Plant Name? Cinnamon is believed to come from the Hebrew word kinamon, or the Phoenician word “kinnámmon”. Sounds like we really still don’t know, because the spice and the word are so old they can’t say for sure! Did you know that Cinnamon is recorded in Ebers Papyrus, one of the oldest Egyptian texts on record? Ebers Papyrus dates to about 1550 BC and contains over 700 remedies including embalming. What are the Plant Properties? Supportive of healthy immune system, purifier and warming. What are the Documented Uses and Health Benefits of Cinnamon Bark Vitality Essential Oil? Supporting immune system and a healthy lifestyle*. Supports healthy digestion*. Want to Learn about Cinnamon's Emotional, Spiritual and Other Uses? Then go to Benefits of Cinnamon Bark Essential Oil Page! Dietary Supplement: place several drops in capsule with olive oil and take internally. Place in hot drinks, cocktails or smoothie. Place in favorite cookie, dessert or drink recipe. Can this oil be used for Animals? Yes, but honestly it is such a hot oil that I use it in professionally made blends, such as Magnify Your Purpose, Abundance or Thieves Essential Oils. If you would like to use cinnamon than a very high level of dilution is recommended for pets. Because it is approved as a Food Additive (FA) by the FDA, food grade cinnamon oil is readily available on the market. Please remember, these are not the same oils and are often adulterated (changed). One of the health benefits of cinnamon oil is that is generally regarded as safe (GRAS). Diffuse with caution may irritate nasal passages. Although it may be used as a dietary supplement, it is advised not to use it in this manner for children under 6 years of age. Women who are pregnant should avoid using this oil. Did you know that Cinnamon was part of the Holy Anointing Oil of Moses that was given to him by God in Exodus? Yes, it contained Myrhh and Cassia essential oils (500 shekels or 12.5 lbs), Cinnamon essential oil (250 shekels), Calamus (250 shekels), and Olive Oil (1 hin or 1 gallon)! Wow, that’s a lot of oil! Yes, almost 6 gallons worth by today standards. That should tell you something – the Hebrews used a ton of essential oils! Did you know that Cinnamon was one of the ingredients found in “Four Thieves Vinegar” or “Marseilles Vinegar”? Thieves used it who robbed graves that worked in the spice industry in the 15th century! Did you know that the original Coke contained cinnamon essential oil? Yes, it contained six oils – cinnamon, lemon, coriander, nutmeg, Neroli and orange essential oils! Place cinnamon bark vitality oil in your hot tea during the winter time to support healthy immunity*!